Over the last couple of months I found myself loving my bullet journal more and more. I love how easy and simple it is to use. I start with a monthly spread, lay down my goals of the month, create a gratitude log (which I failed to use on a daily basis) and move with my weekly and daily spreads. The thing that strike me the most about the bullet journal system is how customizable it can be. I can add a collection anytime I want. I can remove the thing that doesn't work for me and not use anymore. I can change my layouts whenever I want and whatever I want. The Bullet Journal System is very easy to use and a no-brainer even for beginners. If you want to find an organization system that will work for you and adapt to your current (messy) situation then give the Bullet Journal a try. Today I will be discussing the beauty of Bullet Journal for Beginners. For A Special Guide on How to Start a Bullet Journal click HERE. What I like most about the Bullet Journal is that it is very budget-friendly to begin with. A simple notebook and pen is all you need. However if you want to go grand in your first bullet journal then you can spend a little on the brand of notebook and pen you'll buy. National Bookstore carries a lot of good notebook to begin your bullet journal journey. Visit THIS LINK for their online product selection. Powerbooks may carry the same notebooks from National Bookstore but you can still pay a visit for some beautiful selection. Fully Booked offers pricier notebooks but good quality. They have a great selection of notebooks you haven't seen before. Muji is another great store here in the Philippines for notebooks. My Bullet Journal is actually from Muji and I love it. The price range of their notebooks are between 150-600pesos, not bad right?! Muji offers minimalistic notebooks perfect for those who want a simple bullet journal. Of course the list won't be complete without mentioning Leuchtturm1917 and Moleskine. I am all the way hands down to the beauty of Pilot G-Tech. Yes, may be the priciest pen in the Philippine market but oh so worth it. Dong-A Fine Tech is already a nice option since they resemble Pilot G-Tech for half the price. For highlighters I love Stabilo and Artiline 660 particularly the neon green. For metallic gel pens of course nothing beat Dong-A My Gel. You can buy a collection of 10 assorted colors which is super nice. Your first bullet journal can be set up in less than 15 minutes. As long as you have picked the materials you'll use you can now easily create your first bullet journal. There are three main components of a Bullet Journal. The Index is how you easily organize the entries inside your Bullet Journal. This is most of the time the first page of your Bullet Journal notebook. Set at least two full 2-page spread just in case you needed more space to fill up the pages. Now to support your Index page you need to add numbers at the bottom of each entry page. Collection is a group of similar/related entries in your Bullet Journal. Almost every entry to write in your Bullet Journal Notebook can be considered as a collection. The two most important collection you need to include in your journal would be a Monthly Log and Daily Log. These two are the heart and brain of a Bullet Journal. There are many layouts you can use with these two collections. Again the thing that make Bullet Journal unique is that its super customizable. You are not bound to start in January or February or March. If you are just reading this today and decide to start a Bullet Journal System in April then so be it. You can start with your April Monthly Set Up instead. The Monthly Log is most of the time comprised of two facing pages. 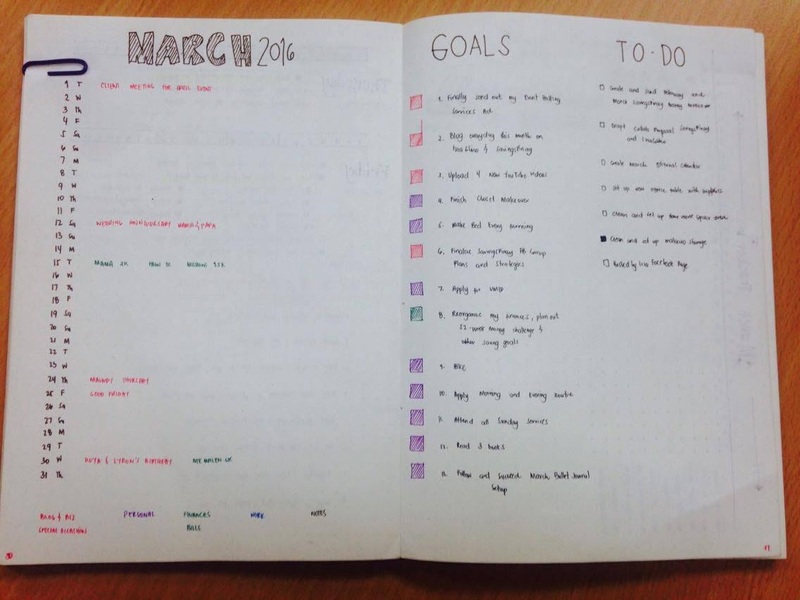 On the left will be your calendar while the the right side can contain your goals, tasks or habit tracker. 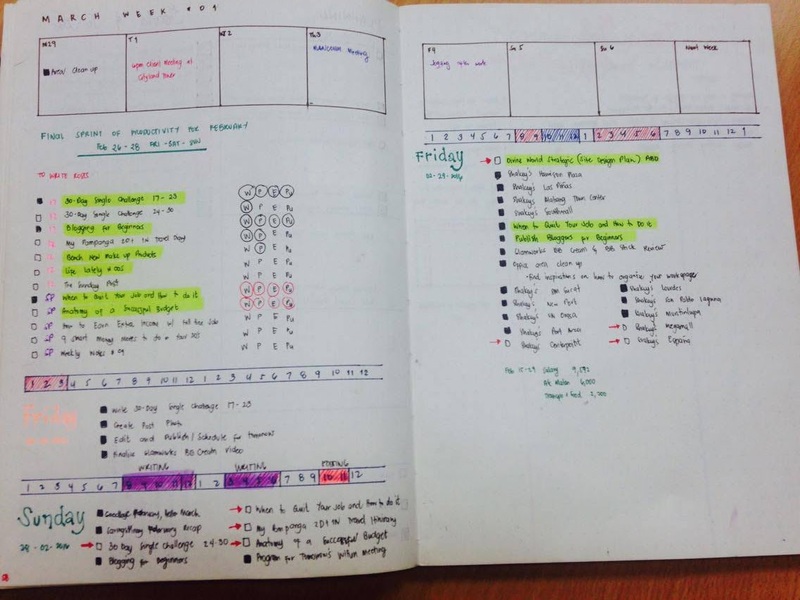 There are also many layout available in terms of a Bullet Journal Monthly Setup. I honestly tried almost all of them but I always come back to the original vertical layout proposed by Ryder himself. How does the Vertical Month works? Then write down any appointment or important occasion. You can easily add color-coding with your Monthly Log. For me I use red to indicate blog+business, purple for personal appointments, green for bills+finances, blue for work and black for random notes. Write as simple as possible. Be brief in how you introduce your appointments. I have always expressed my love for creating goals. Remember that your monthly goals should be a break down of the goals you've set for the year. I create 1-2 goals for each areas of my life like blog+business, personal, finances, work and others. Then you track your progress through a Habit Tracker which I will probably introduce in a different blog post. Of course there are bigger projects and tasks that you want to accomplish in a monthly basis. Again these tasks can be in line with your goals for the month. They should be broader tasks that you can do slowly but surely on the next 30-days. The Daily Log is your supposed to daily to-do list. It is where you will record your tasks of the day. You can also do rapid-logging of tasks, events and notes that may occur through out the day. Each log are indicated with a signifier which will be explained later. Try to be very intentional with your Daily Log. Choose the tasks that you will do and make sure that they are according to priorities. Some of the tried and tested Bullet Journal Collections include Lists of Different Things like Books to Read, Items to Buy, Gift List etc. Another collection is Log like a Future Log and Gratitude Log. There's also a Collection of Notes from a specific topic like a Morning Routine/Evening Routine Note or the Lessons You Learned from a Certain Seminar You Attended etc. 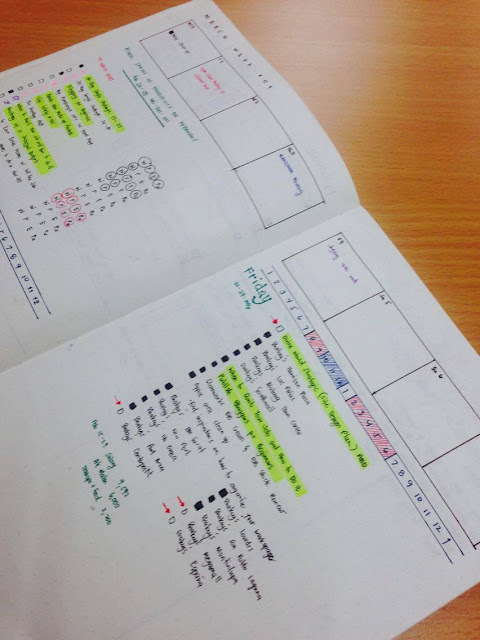 Rapid-Logging is the language in which Bullet Journal is written. It consists of four components: topics, page numbers, short sentences and bullets. Most of your Daily Log will be composed of through this language. There are three main bullets you can use in your logs. The SQUARE is for tasks, the CIRCLE is for events and DOT is for notes. 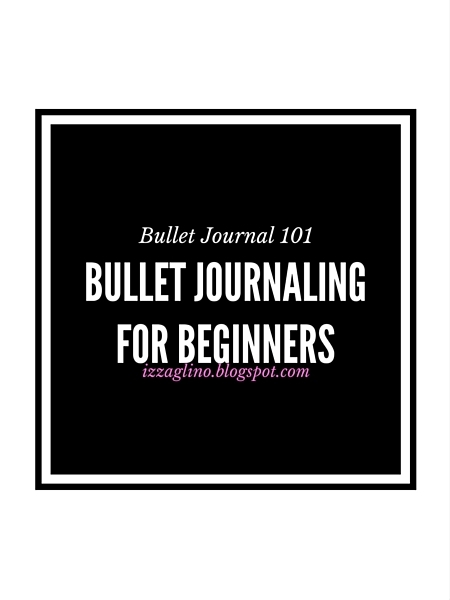 Below is a run through of the bullets used in the Bullet Journal System as summarized in my post A Special Guide in Bullet Journaling. Signifier gives you another identification for a log. These are written on or before a bullet to signify whether the task is urgent or not urgent. These signifiers include an assortment of punctuation and symbols like exclamation point (! ), asterisk (*) and more. An idea can be signified by a lightbulb for example followed by a dot to show notes or explanation. Personally I only use just one signifier in my bullet journal and that's a neon green highlighter. If a certain task, event or note is highlighted it means that the what's written is important and should be done no matter what. The Bullet Journal community is very rich and you can learn a lot from others. If you have an Instagram account you can just search #bulletjournal and a lot of active bullet journalist will pop up. You can also check the Boho Berry and Tiny Ray of Sunshine. I hope you enjoyed this post. If you a peek of my bullet journal setup click HERE. If you want to know how I set up my bullet journal for March click HERE. 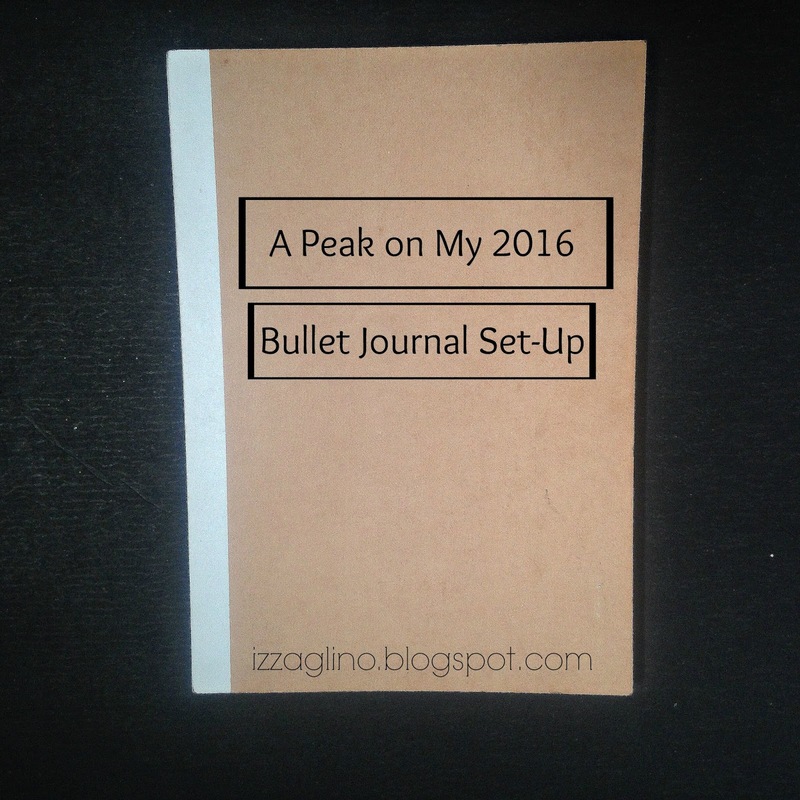 Have you heard about Bullet Journal? BLOGGING | Where To Get Post Ideas For Your Blog - New!